Do you want to go after the steps of Harry Potter and his friends from Hogwarts during your next visit to London? 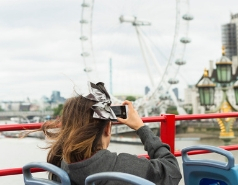 The hop-on hop-off tourist bus London City Tour will take you to the places where the famous film, favourite to children and grown-ups, was filmed. There are several places in the city which you cannot miss if you are a fan of the saga. One of them is King´s Cross Station where the adventures of the beloved character started. The train Hogwarts Express departs from the platform 9¾ where you will find a trolley mysteriously disappearing in the wall and a sign Platform 9¾. The tourist bus City Tour London will take you to this station. You should take the route West End Loop of the open top bus tour and get off on the stop nº 13 New Cavendish Street. Do you want to live again one of the most unforgettable scenes of Harry Potter and the Deathly Hallows where Harry, Hermione y Ron, escape by a miracle of being hit by a bus? If your answer is positive, do not hesitate to go to Picadilly Circus, stop nº 14 of the route West End Loop of the bus London City Tour. Harry Potter discovers that he can speak parcel in Harry Potter and the Philosopher’s Stone. If you like to see the exact place, visit London Zoo and it´s reptile house, located in Regent´s Park. 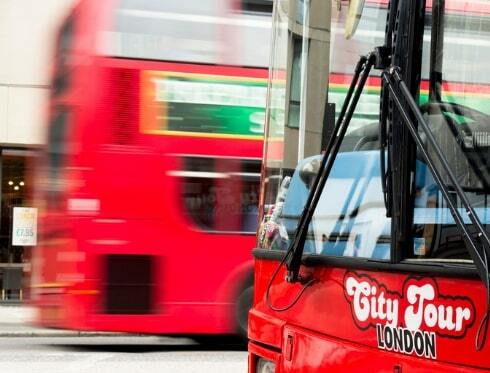 Enjoy the service hop-on hop-off of the panoramic bus City Tour London and get off on the stop nº 12 Madame Tussauds of the route West End Loop. Do you remember the staring scene of the movie Harry Potter and the Half-Blood Prince with the collapsing bridge? In order to see this bridge with your own eyes get on the sightseeing tour bus in London of London City Tour and get off on the stop nº8 Millennium Bridge St Paul´s Cathedral of the route Tower Loop. 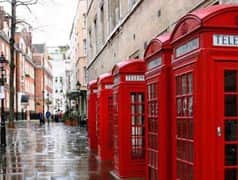 You can make your own itinerary taking the official bus London City Tour; you will find the marks of Harry Potter along its two routes of service: Tower Loop and West End Loop.